Home » Events » Events » Local Group » Dr. James Davies: The New “Mental Illness” Epidemic – are psychiatric manuals to blame? Dr James Davies graduated from the University of Oxford in 2006 with a DPhil in social and medical anthropology. 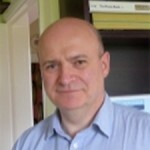 He is a senior lecturer in social anthropology and psychotherapy at the University of Roehampton and a practicing psychotherapist (UKCP). He is also co-founder of the Council for Evidence-based Psychiatry. He has written widely in academe and has delivered lectures at the universities of Harvard, Yale, Oxford, Brown, London, Columbia, and The New School (New York). James has also written for The Times, The New Scientist, The Guardian and Salon. He is author of Cracked: why psychiatry is doing more harm than good (Icon Books).